Make an appointment with a purchase coordinator for the nearest location to you. Within 15 mins of us inspecting the vehicle, you will receive our offer to purchase your vehicle. When you accept our offer, we’ll complete all paperwork, give you a check and then Uber you home. Selling your old vehicle can seem like a complicated and overwhelming process. And at BIDLANE, we understand the hesitation. That’s why we’ve developed a better way to sell your old car. Whether you’re from Arcadia, Burbank or the surrounding area, you’ll find a BIDLANE near you with a team ready to help you on your automotive journey. 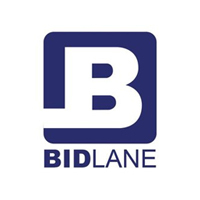 If you’re ready to sell your old car, BIDLANE is ready to help. With an easy process, you’ll be able to get back to your life faster. When you bring your old vehicle in, a professional will inspected it. And then within 15-minutes, you’ll have an offer in your hand. You won’t have to worry about waiting around. Schedule your appraisal today, and get well on your way to selling your old car.